I’m not sure how much of my pocket money I spent on scented Hello Kitty erasers and pastel Hello Kitty pencils when I was little, but it was a lot. 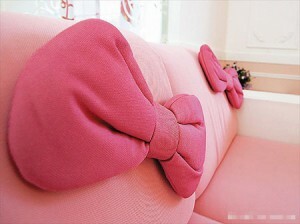 Highly coveted in the 1980s and highly coveted now, Hello Kitty has a massive following. So where would Kitty live? In the Hello Kitty house of course! 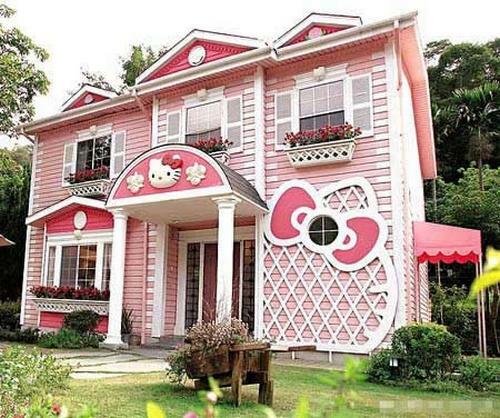 Situated in Shanghai, China the Hello Kitty house comes fully decked out in Hello Kitty pink and Kitty interior features from top to bottom. Thirty years on from my own Hello Kitty infatuation, I think I would be hard pressed to sleep well in a bedroom that was so, so pink. Likewise, eating a meal in the Hello Kitty breakfast booth might also be a little much to stomach, but I have no doubt there will be fans queuing up to get a peek. Lots of Hello Kitty paraphernalia can be found at the official store and you can also check out Babyology’s take on Kitty.